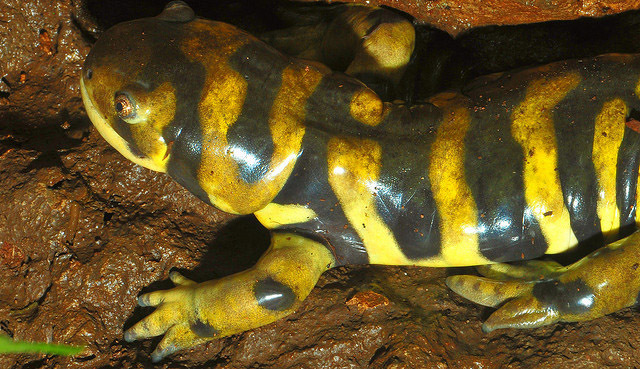 Tiger salamander (Ambystoma tigrinum); photo by Carla Isabel Ribeiro on Wikipedia (use permitted with attribution / share alike: CC BY-SA 3.0). An election was held on the Internet in 2004; the students and citizens of Illinois chose the eastern tiger salamander over the other two candidates (gray tree frog and American toad). 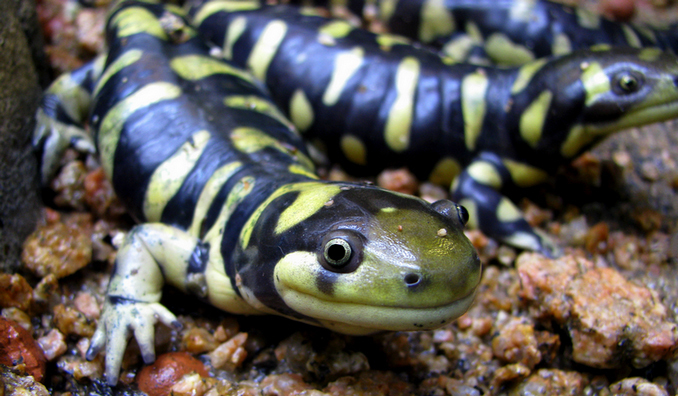 Eastern tiger salamanders are the largest amphibian found in Illinois and live throughout the state. Ambystoma tigrinum: eastern tiger salamander; photo by Todd W Pierson on Flickr (noncommercial use permitted with attribution / share alike). 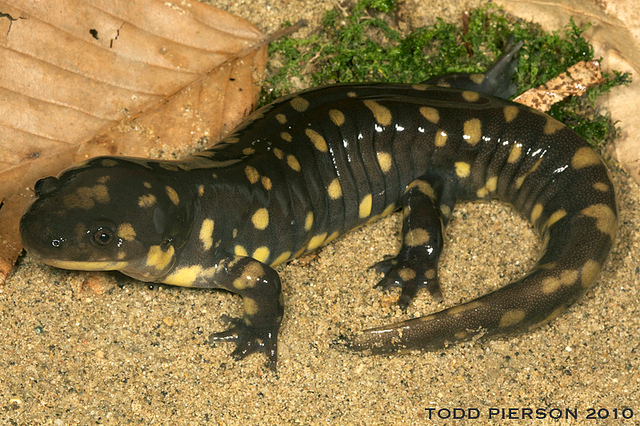 Eastern tiger salamander: Ambystoma tigrinum; photo by Josh More on Flickr (noncommercial use permitted with attribution / no derivative works).